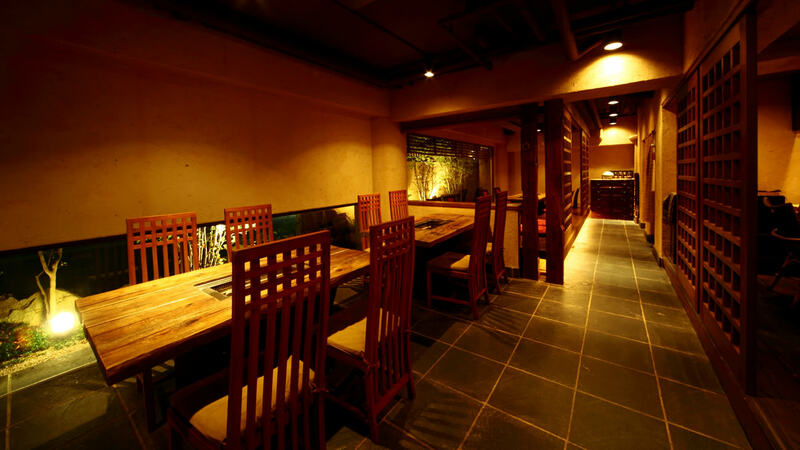 Our restaurant is located in Naramachi that used to be a part of the territory of Gango-ji Temple registered as a World Heritage. The traditional old street that has been around for over 1,300years has a calm atmosphere and is enjoyable in every season. 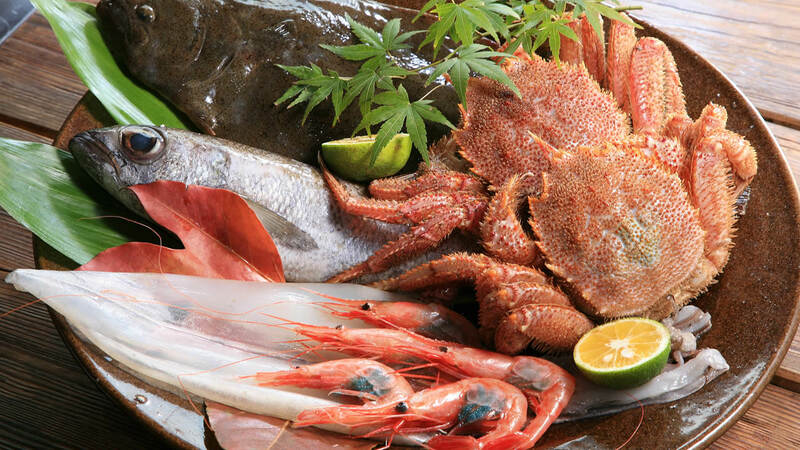 Please enjoy grilling high class black-haired Wagyu(Japanese beef), fresh seafoods directly from the fishing port in Ishikawa Pref., sun-dried fish from throughout Japan and Nara's locally-produced vegetables on the Irori (sunken hearths) in this special atmosphere. 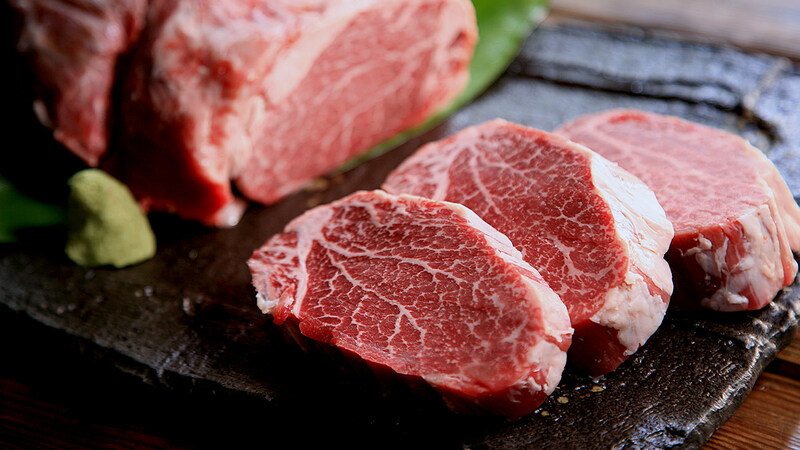 We offer a plate lunch and a prix fixe course that contain delicious beef as the main dishes. 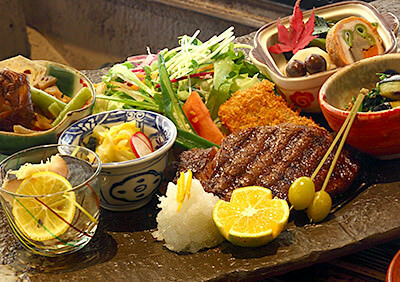 We also serve pork fillet cutlet sandwiches. 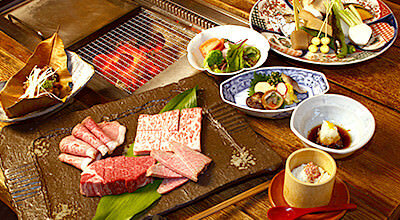 You can enjoy grilling seasonal ingredients, black-haired Wagyu(Japanese beef) and fresh seafoods on the irori (sunken hearths). You can also take pleasure in eating Chateaubriand steak. 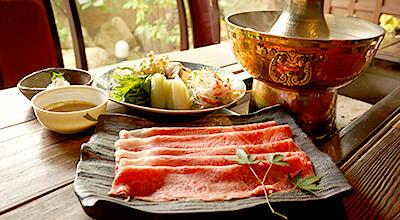 Shabu Shabu is a hotpot dish. 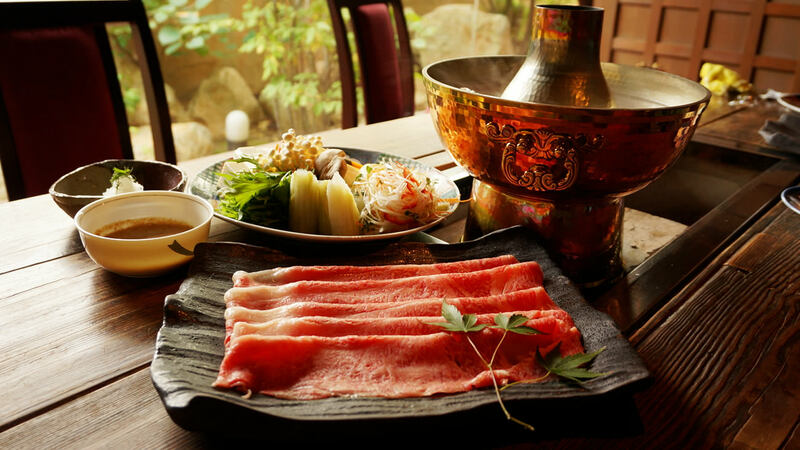 Ingredients such as thinly sliced meats and vegetables are immersed quickly in boiling water and eaten by dipping them into special sauces. Finally, rice or udon noodles are added into the soup. 8,000JPY Advance order is necessary. Inquiries about Halal food are welcome. Please feel free to contact us. Following credit cards are accepted only dinner time. Please tell the driver to take you to Gango-ji Temple. 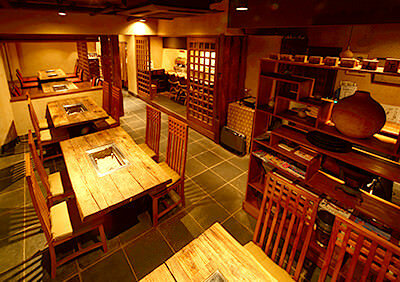 Take Nara Kotsu bus for Tenri, get off at Nara Hotel bus stop and approx. 7 minute-walk. Take Nara city loop bus (anticlockwise) , get off N-13 Tanaka-cho and approx. 10 minute-walk. 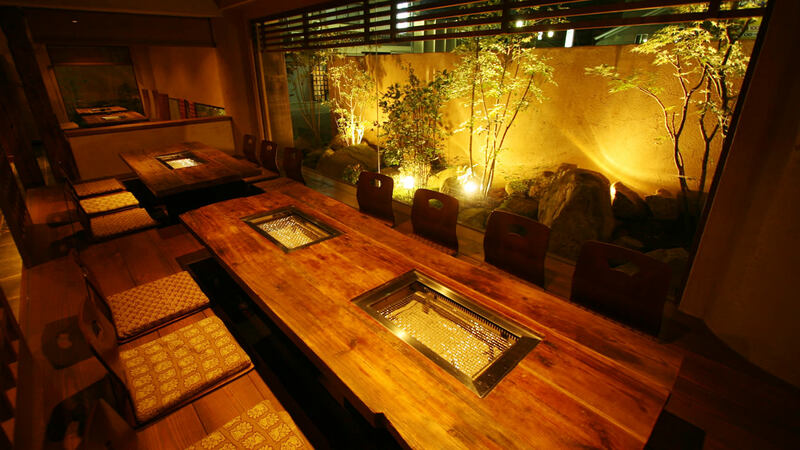 Copyright © Irori (sunken hearths) Dining TANAKA. All Rights Reserved.